Well if not even a single cookie was left when you came back it can only mean that these are truly delicious cookies! I love choco + mint, but it’s an acquired taste and quite few people I know truly hate it! I have a friend who totally despises it too… oh, well – cannot please the whole world, right? They look delicious Sally! Double chocolate whooo! Michael, loved your post on making that mirror – you are incredibly talented! I haven’t been able to comment much, life is busy with so much stuff, but I wanted to tell you how much I loved it! I love the combo of chocolate and mint! Adding this to my list of cookie recipes..which isn’t quite two million, but close. Can you imagine? TWO MILLION. Ok, of course redundancy is there, but still… two million. Blows my mind. well…I would never have thought about men not wanting to give a woman candy with another man’s name on it!! I thought women were just weird about those things! 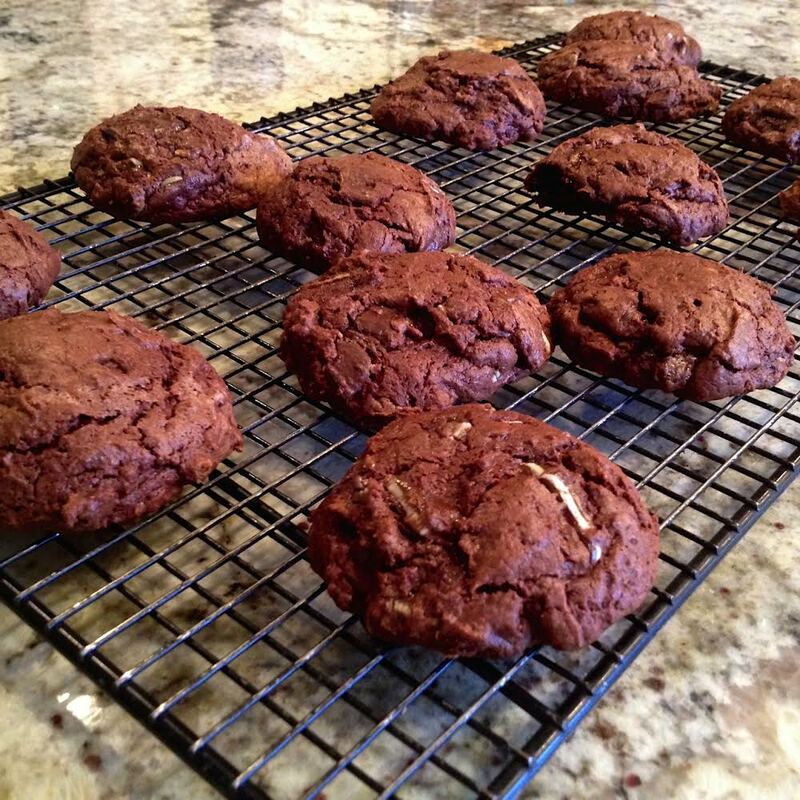 I’m just pulling together my list of cookies to bake for the holidays and I also seem to find lots of chocolate recipes! I like this with simple melted chocolate and the addition of mint is just perfect for my taste. I was a bit surprised too, but this was the 1920’s, so maybe that explains it. These days, who the heck cares, right? 😉 Give me a cookie and I’m happy, put a dog’s name on the box, and I’m even happier! Glad you are one of the lovers of the combo! You aren’t messing around with chocolate and mint. This will easily catapult you into the center of the cookie recipe ring. That’s a pretty mouthwatering chocolate cookie and a nice change from chocolate chip cookies. I’m a fan of the combo of mint and chocolate. I mentioned earlier on another site that I associate mint & chocolate with Christmas, for some reason. These cookies do the same for me, though they are far from your standard Christmas cookie. As a big fan of Andes, I bet these cookies would be the best ever, whether or not it’s Christmas Yum! I LOVE chocolate and mint! And I’m so addicted to cookies… I’m definitely gonna try these beautiful, decadent ones! 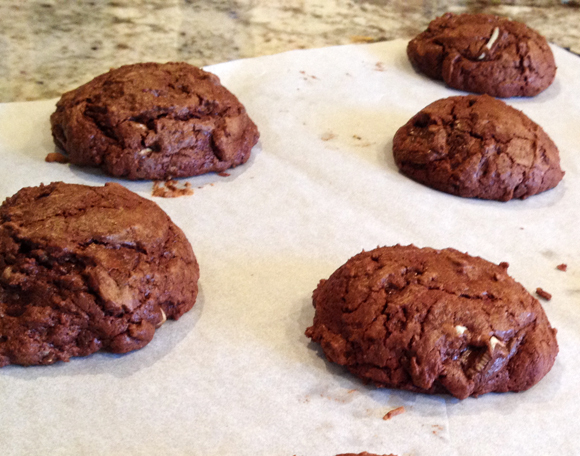 Chocolate and mint is one of my favorite winter flavor pairings, so I must try these cookies. Although I fear they won’t last long around here! And there you are! Your first comment as a married woman! Nice to see you here! I think I’m the only person on the planet who isn’t a fan of the classic chocolate-mint combo, but I know some kids who will KILL for these, thanks Sally! Oh, you are not alone! Lots of people don’t care for it, but if your kids like the combo, I know you will be making a batch in no time, you Super Dad you! Isn’t that true? One million and two, one million and ten, bring them! I haven’t thought of Andes mints in years. They don’t live down under but I can see how they’d be wonderful in these cookies.